Endodontic procedures can save damaged teeth. The nerve is not vitally important to a mature tooth’s health and function, and when it’s inflamed, it can be quite painful. 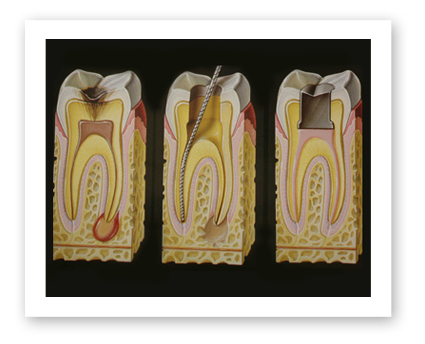 During a root canal, the nerve and pulp are removed, and the inside of the tooth is cleaned and sealed. This eliminates the source of the pain and helps ensure the tooth won’t become infected again. Dr. Koczarski has specialized training in endodontics and can make sure your root canal is as thorough and painless as possible. In fact, many patients report that a root canal is usually no more painful than a filling. After a root canal, the tooth will usually need a crown or composite restoration to protect it and bring it back to full strength. Fill out the form to the right and receive a bonus new patient offer for your next root canal.